I am a fairly new blogger and still have to learn a lot! To be honest, it really can be a bit overwhelming at times – especially when you’re some sort of “I want to do it all. At once. Right this minute” kinda person, like I am! So every now and then I get a bit flustered, run around like a chicken, and don’t do anything at all (can you say procrastinatior, much?) instead of working on my blog and taking it step by step. Can you guess what helps me in those times of madness tremendously? 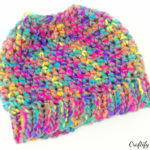 It’s going back to things I know tons about: Crafting and creating wonderful new things!!! 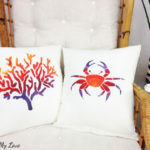 It’s so soothing to decide on a new craft, find all the supplies, and simply get to work! I decided to whip up a fun little spring project. Something I am very good at! Of course I took a gazillion pics while doing so – also something I am very good at! 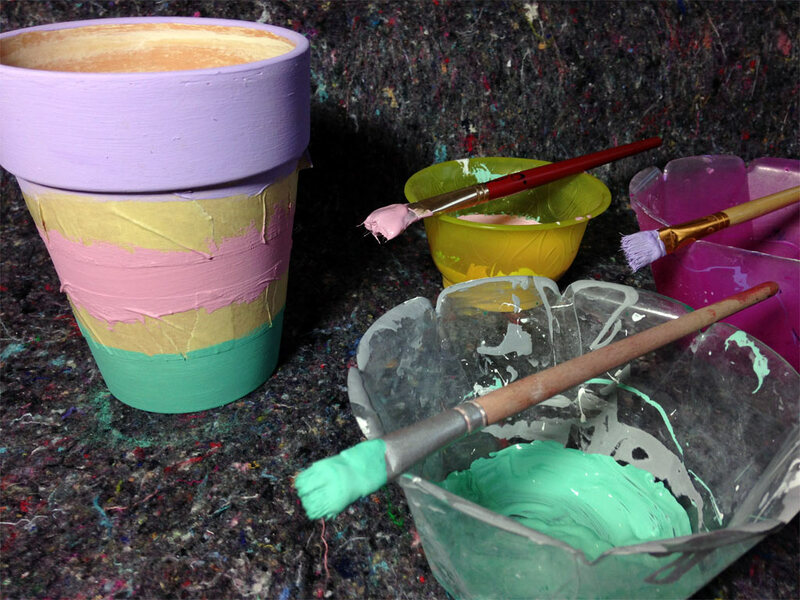 And now I’ll be telling you my story and how to make yourself a fun little sparkly flower pot – again something I am a master of…talking and teaching! 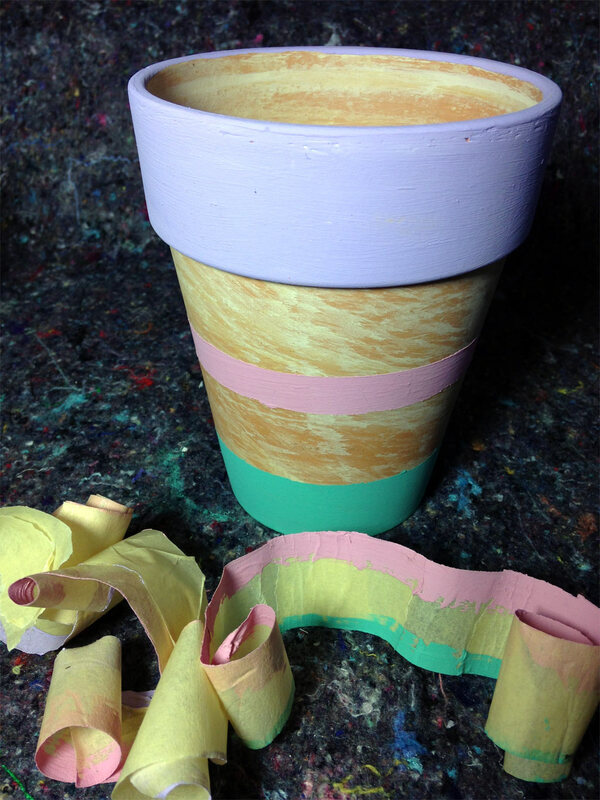 Please keep on reading if you want to make your very own Sparkly Spring Stripy Flower Pot! 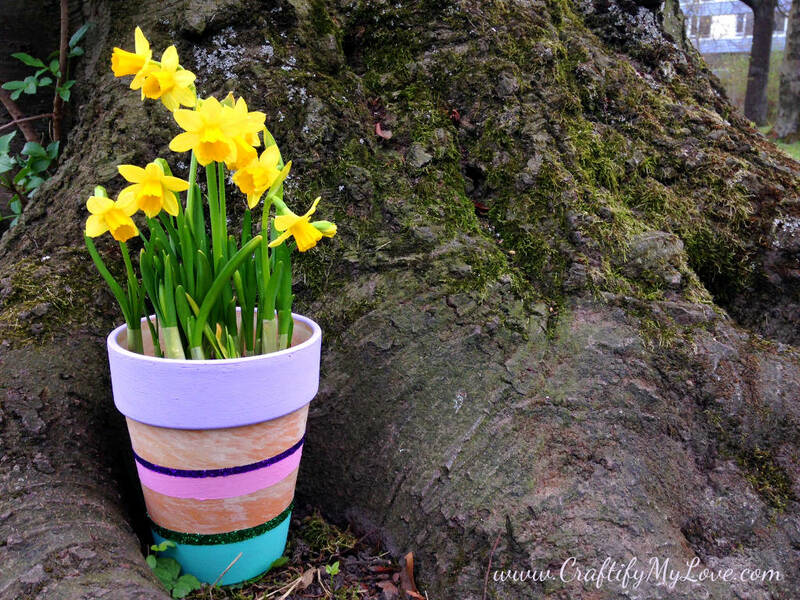 It’s an easy and quick to do little craft project and you’ll be able to enjoy the touch of spring in your home for a long time! brushes – I actually used smaller ones than on the image, and I found it quite helpful to have a brush for every color or sparkle. 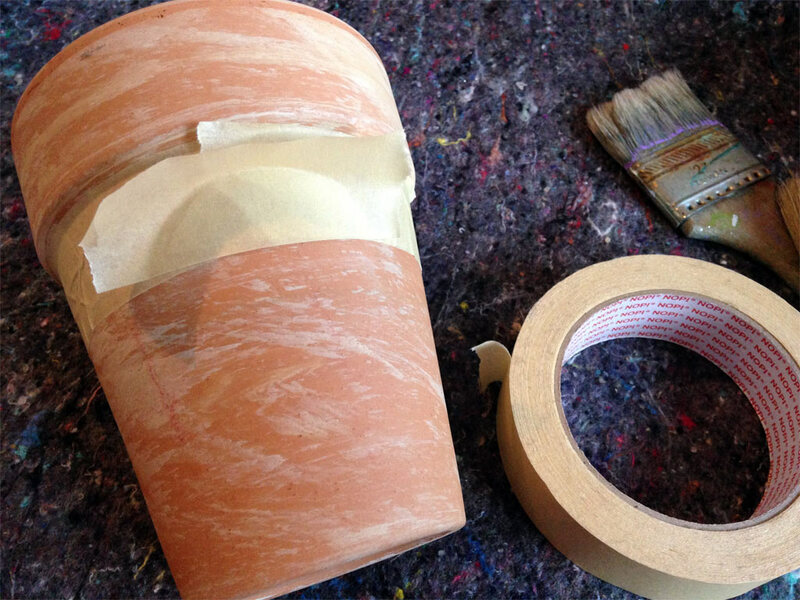 painters tape – again, I found it easier to work with a thinner tape than with the wide one I used in step one. 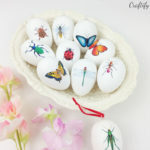 acrylic paint (white, green, purple, red) – you can mix the colors to your liking – I used white as a base for all three and added a little green, purple, or red to achieve violet, rose and turquoise. 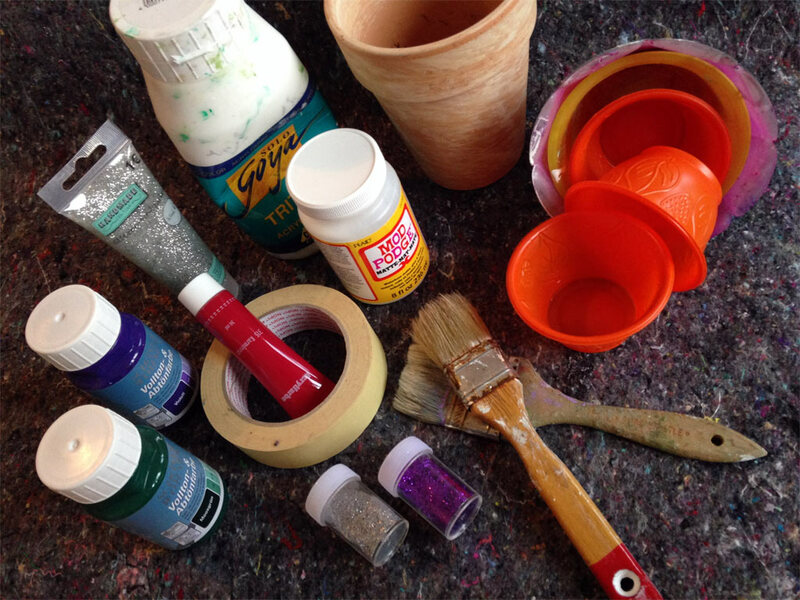 plastic containers – for color mixing and mod podge – can you tell that I used some from the ice cream parlor? I’m not very fond of ice cream (I knoooooow, I am not normal that way ;-)) but my colleagues are and whenever they treat themselves with a cup at lunch, I ask for those little plastic bowls – as they are just puuuuurfect for crafting!!! cardboard, newspaper or old fabric as protection for your work space. rubber gloves so your hands won’t get all dirty. 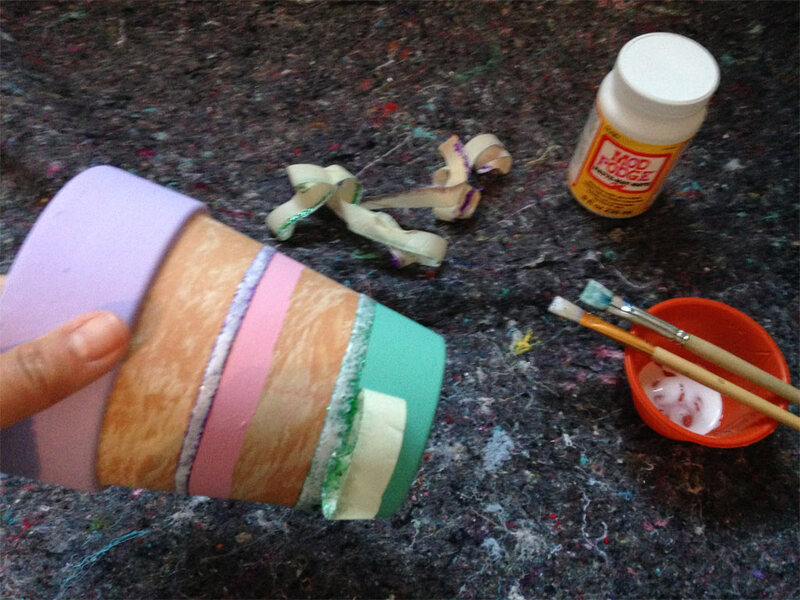 Using the painters tape, mask the stripes you want to leave in the original color of the flower-pot. 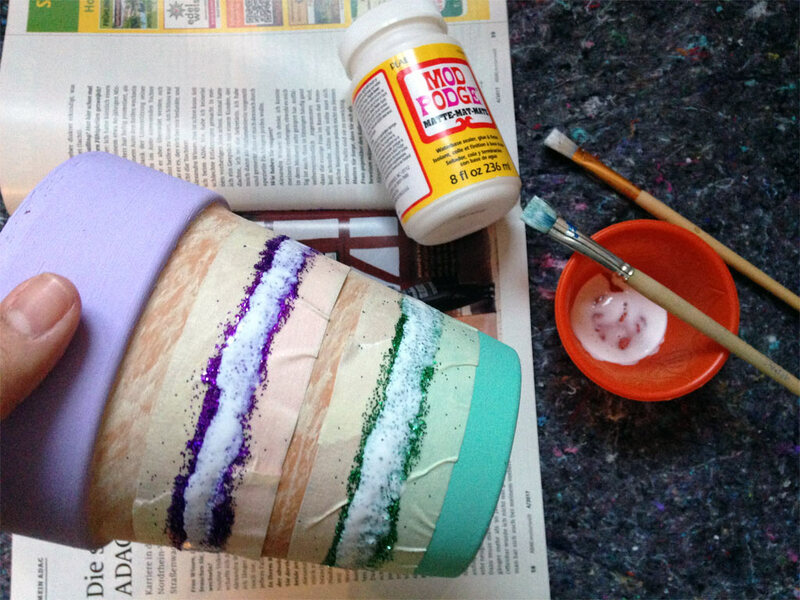 Mix the spring pastel colors you want to paint the springy stripes of your flower-pot with. Using a lot of white as the base and only a drop of your color of choice. Paint the stripes (it’s best to use a different brush for every color). 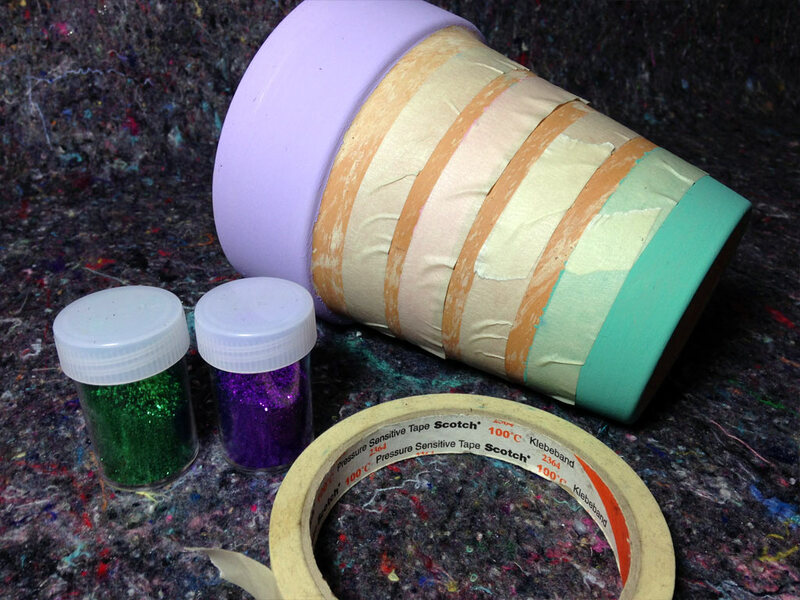 Using the painters tape again, prepare the stripes you want to be all glittery. 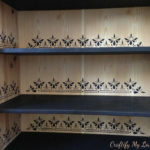 You don’t need to worry that the previously painted stripes will get ruined by the tape, if you let them dry properly! 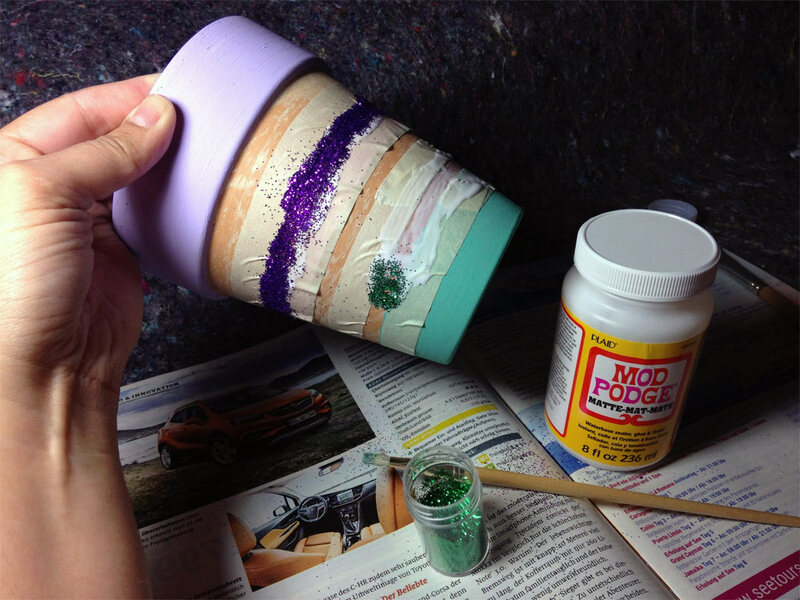 Using mod podge you’ll stick your loose glitter to the flower-pot. I recommend pouring a little bit of podge into a plastic container, so you won’t get your entire stash all sparkly. I applied mod podge half of the round with one brush and used another brush for each color of sparkle. Then the other half. Now it’s time to fix the sparkle so it won’t come off again. 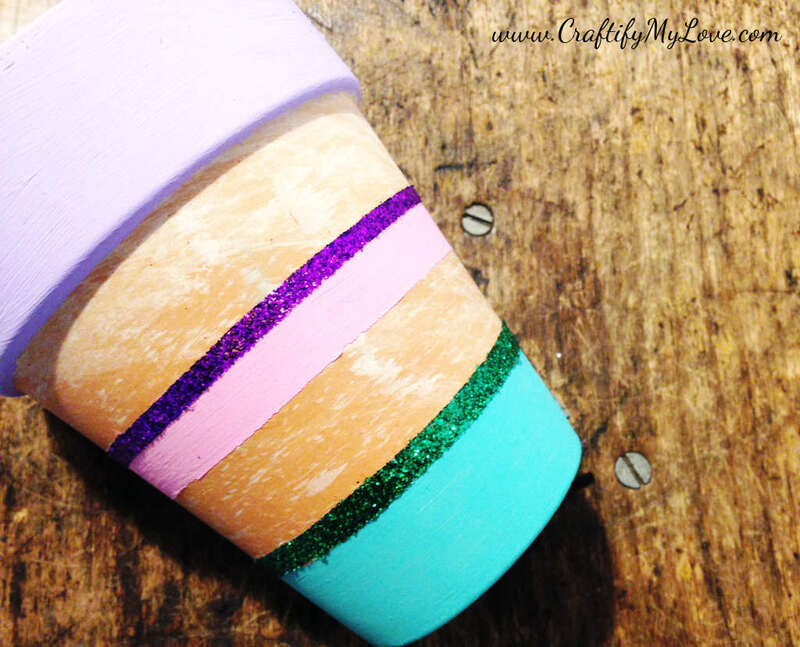 Dab mod podge over your sparkly stripes – I know, it looks as if you messed up everything now. But don’t panic!!! The mod podge will dry and be see-through afterwards. No harm done! Let it set for a couple of hours. Aaaaaaaand you’re done! It took me about an hour to finish my sparkly flower-pot. This is the work time only; time for drying not included! Will you follow these instructions step by step or add a little of your own imagination and creativity? Either way, I’d love for you to show me what you whipped up! 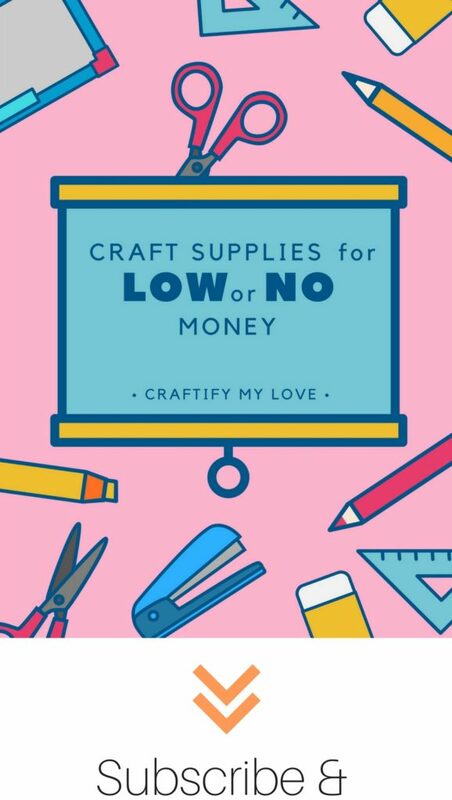 Simply tag @habiba_cml on Instagram, and be sure to subscribe to my mailing list to receive more happy craft projects to your inbox! 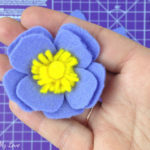 For starters please PIN the image on the veeeeeery bottom of this post so this tutorial can get into the hands of and be helpful to as man crafty people as possible. 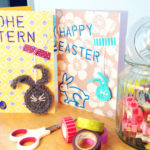 And now for the rest of the Bling on the Spring Craft Blog Hop fun! Be sure to visit every post to get all of your sparkly craft inspiration. 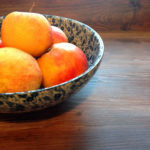 Next PostNever Ever Throw Away Old Apples! Thank you so much Barb <3 I enjoyed making this project and I am sooooo happy you like my style of writing. Basically I write the same way I speak. Sometimes creating my own words and talking with no end 😉 I was a little scared there, if anyone would bother to read all that I have to say - lol.